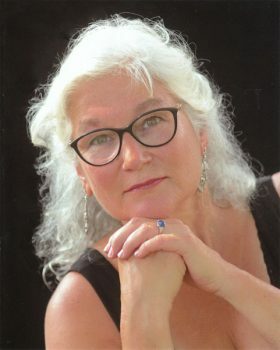 The Concerts at Jewett series sponsored by University of Maine at Augusta College of Arts and Sciences and UMA Senior College will feature Leila Percy & Friends: Celebrate Songs of the Great American Songbook on Sunday, October 28, 2018, 2pm at UMA Jewett Auditorium. Bandleader and vocalist Leila Percy enjoys a wide variety of musical genres from Broadway show music to country and folk, jazz and the Great American Songbook. Gerry Wright, pianist, and Tony Shay, drummer, have played with the Al Corey Band for years. They will be joined by Jim Lyden, a bassist, who has performed at Jewett often, and Sherry Walrath, an American Sign Language interpreter for more than 40 years who has signed many concerts with Leila Percy. Leila and her friends plan to share how they put a show together and how important they feel it is to remember our musical heritage. For more information about Concerts at Jewett, please visit: www.concertsatjewett.com.